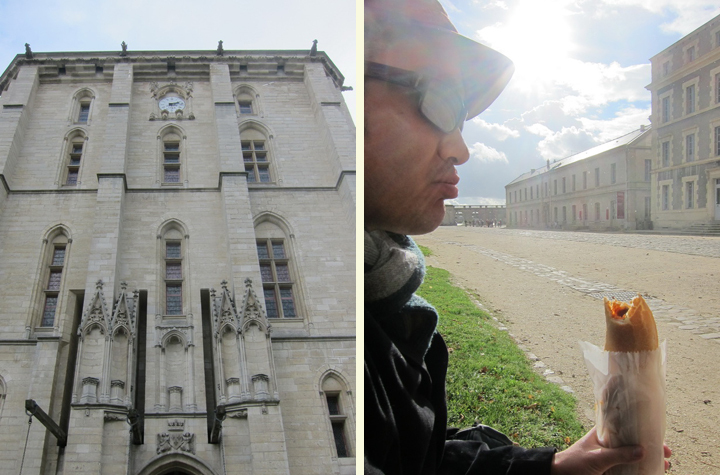 Mr. Selfish and I rode the metro all the way to the end of Line 1 to go to Bois de Vincennes and Château de Vincennes in the 12th Arrondissement. The Bois de Vincennes is a park that is three times larger than Central Park in New York. 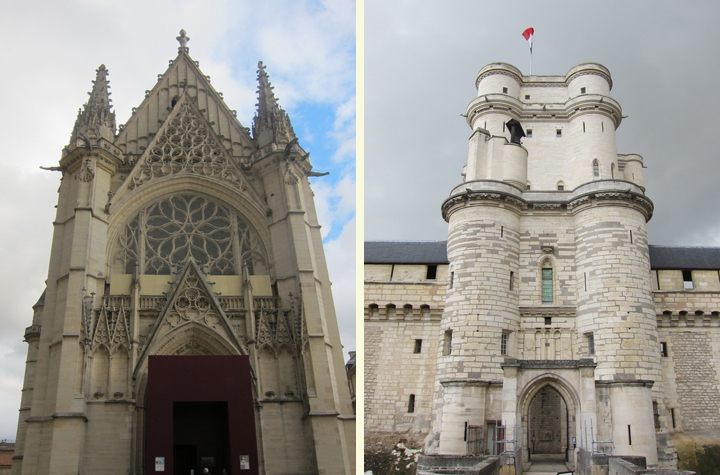 We arrived at Château de Vincennes, which was a favorite second home to 14th century French kings. 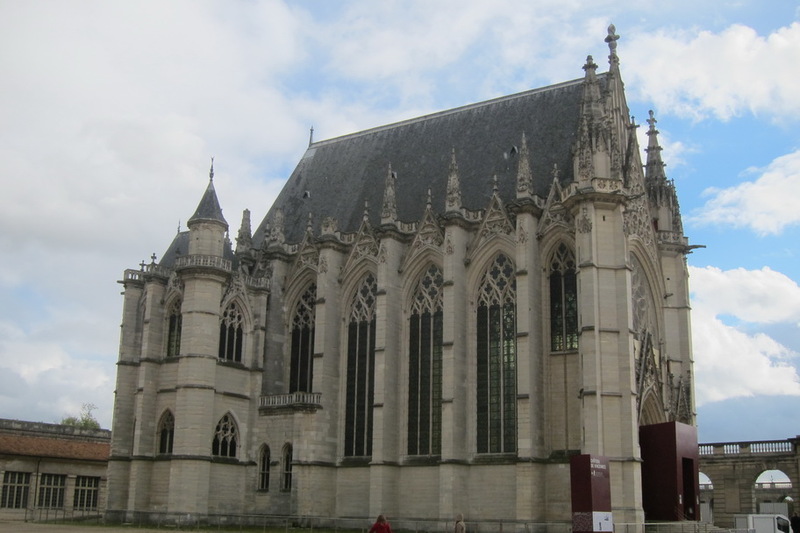 They used it as hunting accommodations due to its proximity to Bois de Vincennes. Mr. Selfish and I had brought some banh mi from Saigon Sandwich with us to eat. 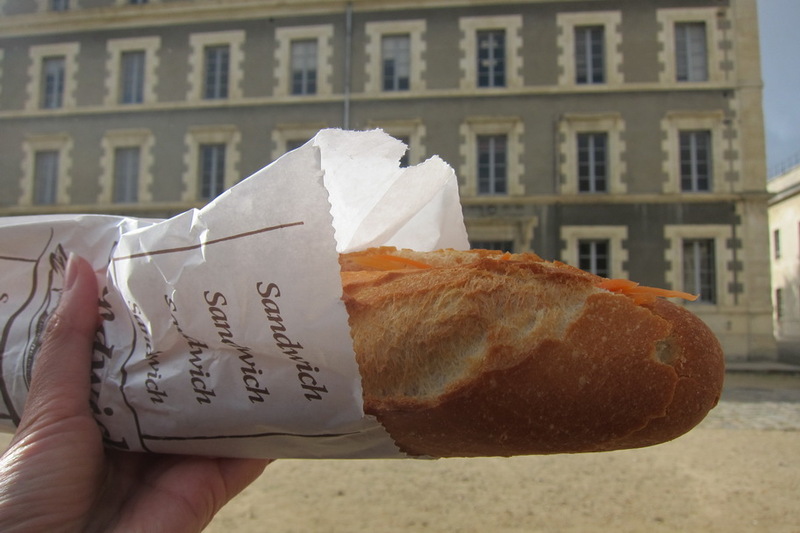 The weather looked like it was clearing up, so we sat down in the château grounds and enjoyed our banh mi. Unfortunately, the weather was not clearing up; it was getting worst. Even though the forecast was supposed to be sunny, it started raining quite hard. We hadn’t even brought an umbrella with us due to the 0% chance of rain. 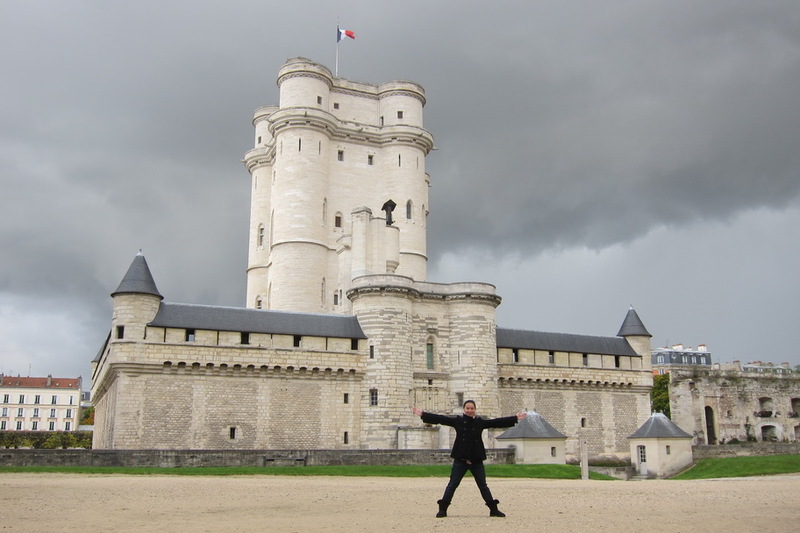 So, we hung around the Château de Vincennes for a while hoping that the rain would cease. It didn’t. 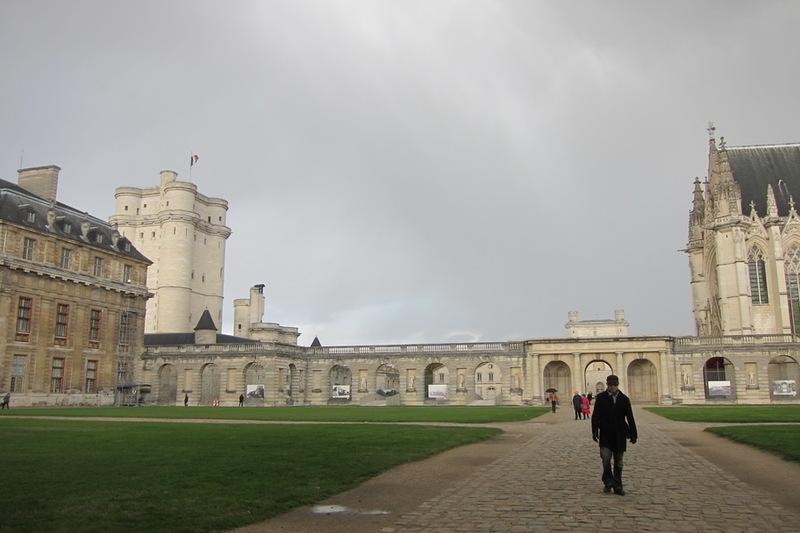 Because of the rain, we never made it to Bois de Vincennes, but it looked really nice from afar. We’ll have to go next time we’re in Paris and bring an umbrella with us.